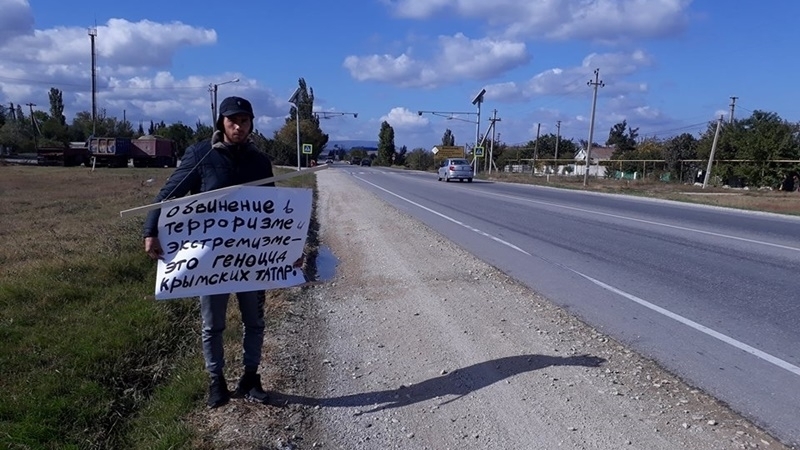 November 8, the security forces in the occupied Crimea arranged a visiting round to the houses of participants in single pickets, which took place on October 14, the activists from the Crimea reported. According to preliminary data, "law enforcers" again interrogated picket participants and collected their passport data. The security forces claim that criminal proceedings were initiated on the fact of picketing, in which they conduct repeated interrogations. Human rights defenders urge participants not to give any personal data, referring to Art. 51 of the Constitution of the Russian Federation. Earlier, QHA reported that "police" in the occupied Crimea began to summon activists for interrogations in connection with pickets of October 14 against reprisals by Russian security forces against the Crimean Tatars.